What causes condensation in roof, attics and lofts? Part 2 in a series of guides about how to stop condensation in loft space, attics and roofs. Condensation in roof, lofts and attics. How to stop condensation in loft space. Finding condensation in attic is surprisingly common. It is estimated that at least 1 in 5 homes are affected by this issue. First tell-tale signs include finding damp in loft or water accumulation on the inside of roof tiles or roof membrane. This can quickly escalate into unsightly black spots on the ceiling and walls. In advanced cases you may find mould spores on furniture, clothes, and linens stored in your loft space or attic. Fortunately, condensation in attic and roofs is normally easy and inexpensive to treat. In many cases you can often do so without employing the costly services of roofing professionals. It is however essential that you find the underlying cause of your condensation problem before establishing a treatment plan. Condensation in Loft after Insulating. It is especially common in homes where modern loft installation has recently been installed. The benefits of loft insulation are well documented. You can save money on your energy bills. Your home will be warmer in the winter, and the Energy Performance Certificate rating of your home will improve. All these could add value to your property, and so it is a wise investment for any homeowner. However, loft insulation has one disadvantage in that it can restrict your property’s ability to ‘breathe’. Your house may be warm and cosy, but if the air doesn’t circulate properly, it is unable to get rid of excess moisture held in the air. When that moist air comes in to contact with your cold roof tiles or breather membrane, it will condense into water and cause condensation. Condensation in loft after insulating is a primary complaint. Homeowners and contractors need to ensure that loft insulation is installed correctly. In newly built properties, wet trade building materials such as cement, plaster and mortar can cause condensation problems in the home. As wet trade materials are mixed with water, they release large amounts of moisture into the air during the drying process. When that moisture-rich air collides with a colder surface, be it a wall, a window or the roof, condensation appears. It is therefore essential that new builds are well-ventilated, especially in their first years of occupation. If you have just moved into a newly built property, and are already seeing signs of condensation, then wet trades could well be the cause. Poorly insulated or badly fitting cheap loft hatches allow moisture laden air to enter the loft space. If the loft space is unable to breathe this moisture laden air will accumulate. On contact with the cold roof slates or breather membrane, this warm air will condensate. Typically the water will then flow down the inside of the roof, and form pools of damp in loft space. Poor ventilation caused by poor design, over-filling the loft space or boxes too close to walls. Modern roof designs now incorporate ventilation along both eaves and ridge which encourages the free circulation of air. Water laden hot air (the primary cause of condensation) rises and is allowed to escape through ridge vents, whilst colder air (at the same temperature as the roof, replaces it through the eaves. Many older buildings may only use the odd tile vent to ventilate the roof space. Many roofs may not have any ventilation at all. In other cases, it may be the hhomeownerat fault. It is all too easy to fill the loft with so many boxes, that air is unable to circulate. Or it could be that one or two boxes are obstructing vents, effectively rendering them useless. How to Stop Condensation in the Loft Space. Two processes must be in place to effectively stop condensation in the loft space. Firstly there must be adequate ventilation. Secondly , you must remove or reduce as much as possible warm moisture laden air rising into the loft. 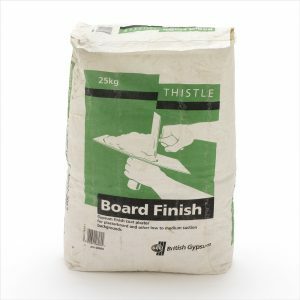 To prevent warm air rising into the loft, ideally, a vapour barrier would be fitted. This should be installed under the loft insulation. Don’t forget that poor fitting or cheap loft hatches also allow warm air to enter the attic. A well-insulated loft hatch does not cost the earth, and most are easily fitted. You will also need to ensure that your loft has adequate ventilation. First, remove any obstructions to the loft ventilation in your attic. Ensure that your loft insulation does not go all the way into the roof eaves. A gap should exist here to enable eaves ventilation, and the insulation should not contact the roof itself. Secondly consider moving boxes to ensure that there is a 5cm gap between them and the walls, and that they are not blocking any ventilation points. Simple roof vents, such as those by EasyVent and Manthorpe, are highly effective at ventilating roof spaces, and they start at just a few pounds each. Designed to improve ventilation, roof vents really do work, and they come in a variety of shapes, sizes and designs to suit every loft and project. Manthorpe Felt Lap Vent. Perfect for Loft Space Ventilation. Fascia vents, slate vents, soffit vents and roof tile vents are some of the many roof ventilation options available. Perhaps the easiest of all to install are Felt Lap Vents, which you can install yourself in seconds, without the use of tools, scaffolding, or machinery. 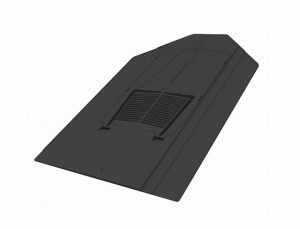 Felt lap vents are compact plastic air ventilators that slot neatly between the overlap of your roofing felt. Once installed, they instantly improve air circulation, and prevent warm humid air being trapped under the roof. When the warm air is expelled, it takes any excess moisture with it, and condensation is no longer a problem. 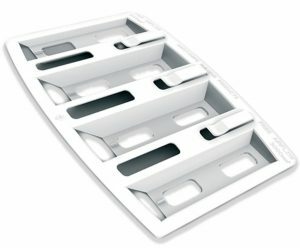 All loft vents come with easy-to-follow installation instructions, and they are available in multi-size packs to suit homes of every size. Article 3: Felt Lap Vent, Loft Vents and other Loft Ventilation Products. Next Next post: What is Condensation?